The articles published in Herbal Medicine: Open Access have been cited 4 times by eminent researchers all around the world. 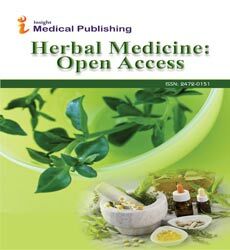 Following is the list of articles that have cited the articles published in Herbal Medicine: Open Access. Komlaga G (2015) Search for antiplasmodial compounds from Ghanaian medicinal plants. Christopher Larbie, Jeremiah Issaka, Marina Tandoh (2015) Anti-diabetic effect of aqueous fruit extract of borassus aethiopum (mart.) In alloxan-induced diabetic rats. Int J of Phymed 8. Sarkodie J, Squire S, Kretchy I, Bekoe E, Domozoro C, Ahiagbe K, et al. (2015) Borassus aethiopum, A Potential Medicinal Source of Antioxidants, Anti-Inflammatory and Antimicrobial Agents. Herbal Medicine: Open Access.